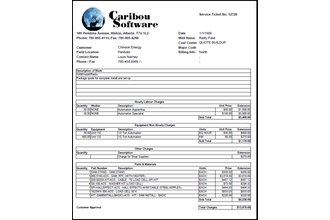 The software serves as an electronic file cabinet to help you improve your overall organization and efficiency. 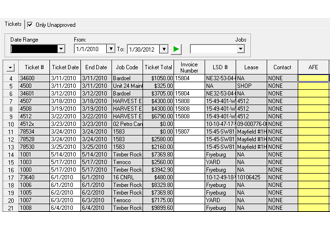 All your key job information and history, customer contacts, equipment and employee information, field tickets, and invoices are all accessible from one icon on your desktop. Easy access to all your information helps you work faster and smarter and provide more accurate and timely answers to customer questions. Charge by the Hour, the Day, the KM, the M3, etc. 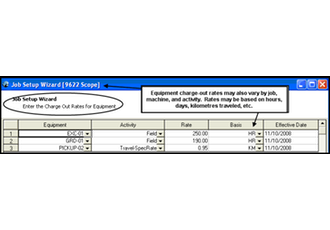 Rates for equipment and labor charge-outs can be set up globally for all customers and jobs, or can be specific to certain divisions of the business, or even certain jobs themselves. Rates can be hourly, by the day, by the kilometer, or by any other basis you may need. Pre-defining your rates can greatly enhance the accuracy and speed of your billing, but does not lock you in – you can always over-ride the rates if you need to. 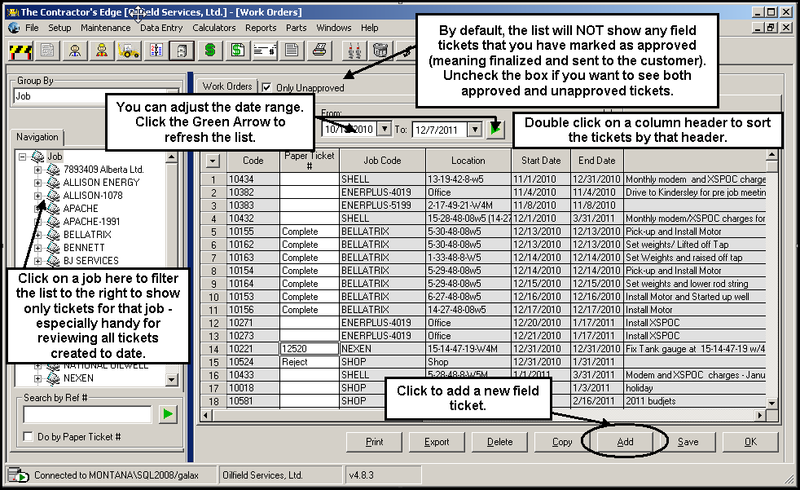 Whether you re-key paper tickets after-the-fact, or your guys enter the tickets from a laptop in the truck, the pick-lists and rate auto-filling speed up entries and reduce errors. 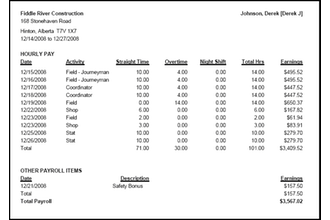 With the Contractor’s Edge, those paper tickets can be entered into a system specifically designed for recording field ticket information. 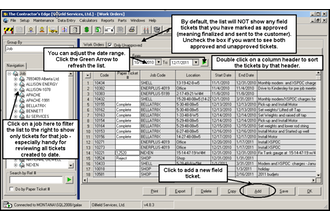 In fact, if you are really progressive, you can have your field technicians enter the tickets in the field, and print a copy for the consultant right then and there. No more worrying about whether a ticket has been handed in, or whether the book-keeper was able to decipher the ticket well enough to bill for it accurately. Skip the step of scanning paper tickets! 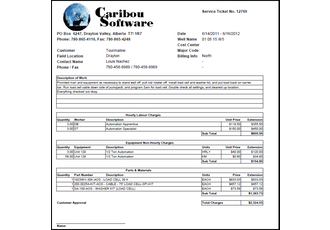 Once you create a service ticket (whether in the field, or in the office), you can easily print a professional-looking electronic version of it, and email it directly to the consultant. 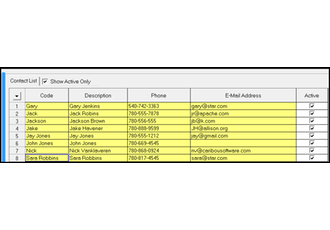 Once you store the consultant’s contact information with that job once, you never have to look it up again! A copy of the PDF will be saved along with the electronic ticket entry form, skipping the time-consuming step of scanning it first! 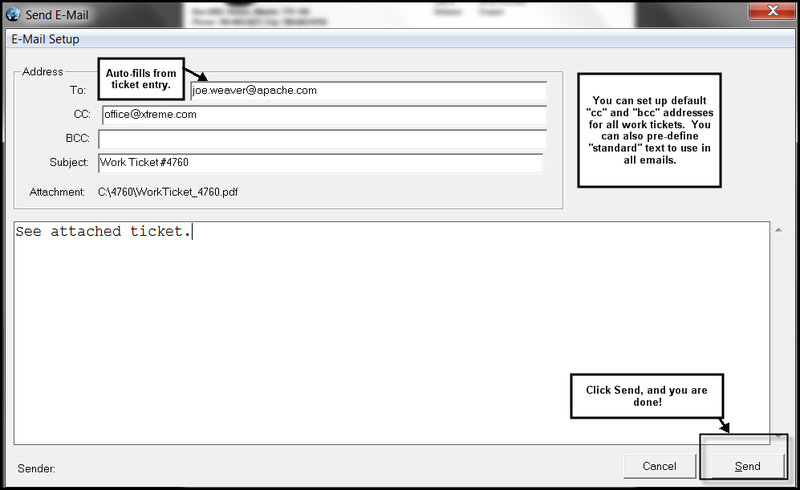 Get rid of the elaborate "pending" folders in your office containing tickets in various stages of approval or sign-off. 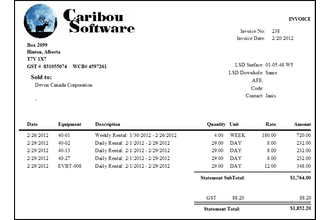 The software lets you look up tickets awaiting sign-off or invoicing so you can easily manage your work in progress. One of the things that makes the oilpatch unique is the requirement to obtain sign-off on work performed, often on a daily basis, before work can be invoiced. Keeping track of where each ticket is in the approval process – both external approval by the consultant, and internal approval by the operations manager – can be a real challenge. The Contractor’s Edge let’s you define the steps in your approval process, and monitor each ticket through that process. It’s a great way to facilitate more efficient communication between operations and accounting to help reduce the risk of missed billings. 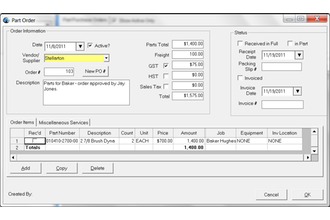 Let our system automate the complexities that general purpose accounting systems are unable to comprehend. 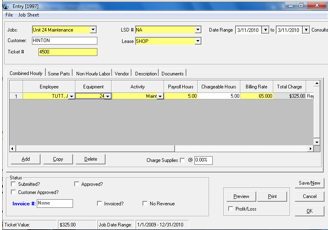 You enter employee hours, living out (subsistence) allowances, and pickup or other equipment reimbursements right when you create a field ticket, indicating whether those hours and other charges are billable or not. 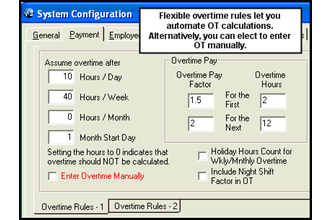 You can also enter internal time for shop work, safety meetings, etc. 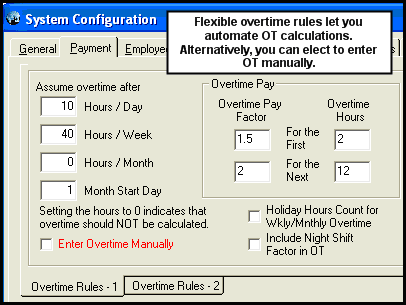 You can either track your overtime manually, or set up rules in our system so it will calculate overtime automatically. 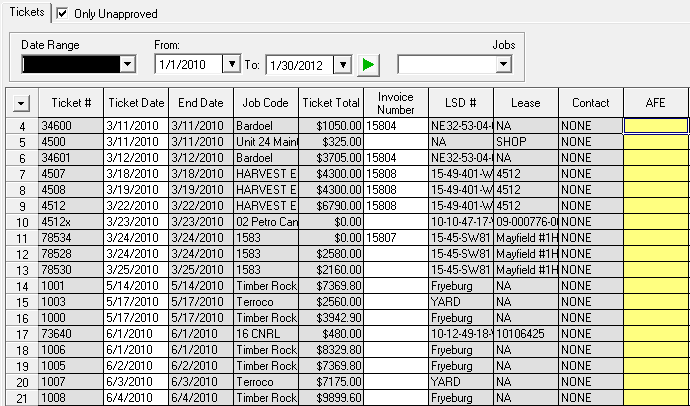 You can then generate gross payroll statements for each employee to facilitate your payroll process with whatever accounting/payroll system you use. No more need to re-enter employee and contractor time in laborious spreadsheets! 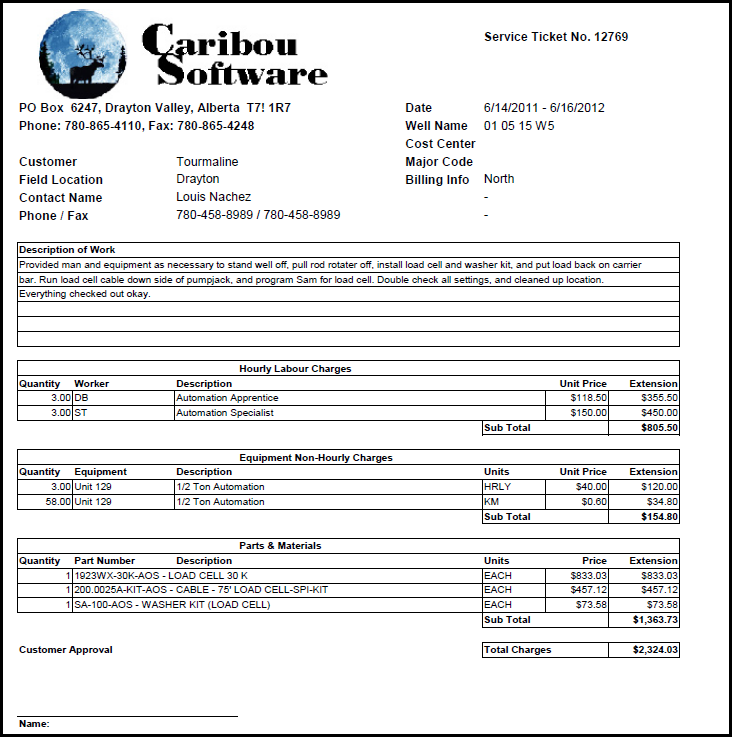 Convert tickets into invoices with a simple mouse click, or easily combine multiple tickets together into one invoice! 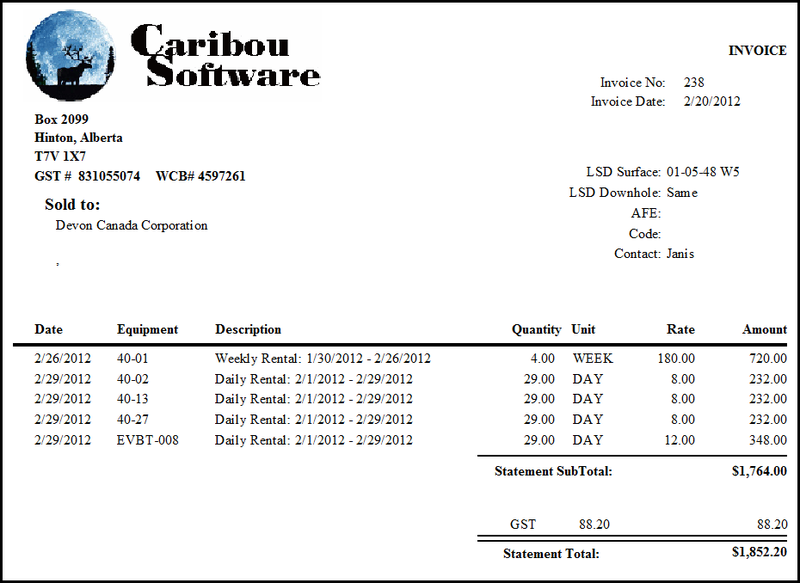 And if you use Simply Accounting, you can post those invoices directly into Simply - no re-keying involved! Once a field service ticket has been approved, you can click the "Create Invoice" button to convert that ticket into an invoice. 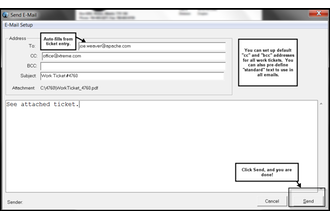 Alternatively, you can batch the ticket with several other tickets to create a multi-ticket invoice. It’s that simple! 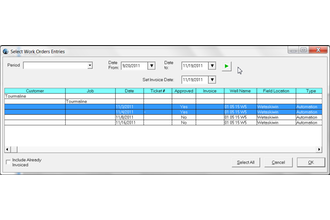 Furthermore, the invoicing window allows you to easily identify all work tickets that have yet to be invoiced, reducing the risk of missed billings. 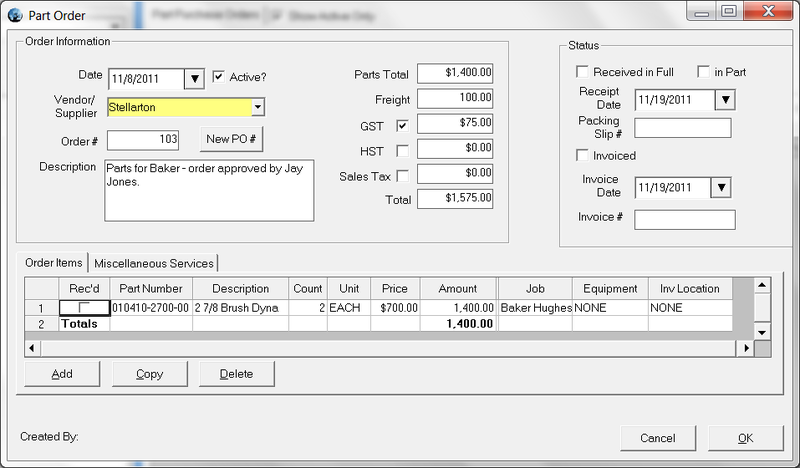 We have recently introduced a direct integration with the invoicing component of Simply Accounting. 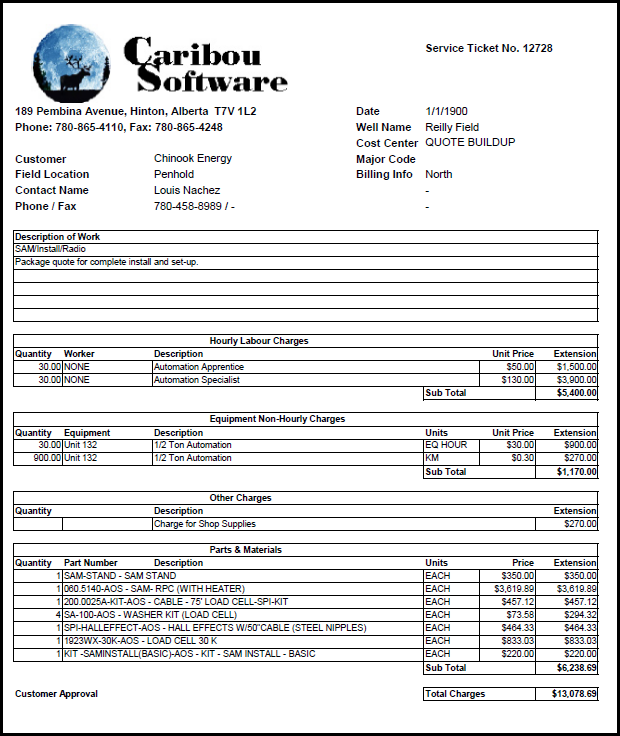 After you create and finalize an invoice in the Contractor’s Edge for submission to the customer, you can automatically “post” that information directly to Simply Accounting, without even having Simply open, avoiding a need for any data re-entry. 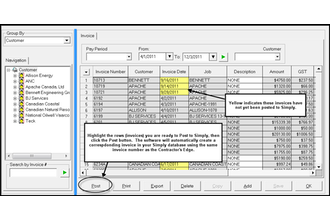 That way, you continue to monitor your receivables directly within Simply. 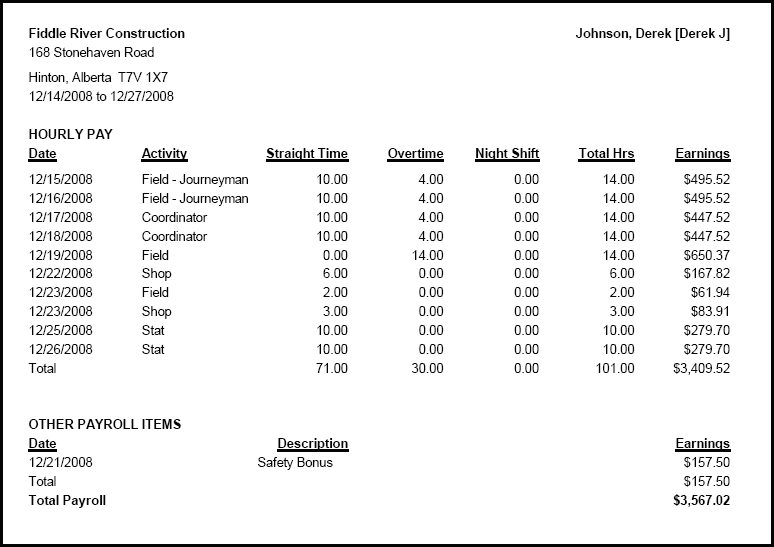 If you want to run a profitable operation, you need timely and accurate reports that let you monitor your performance on each of your major jobs. 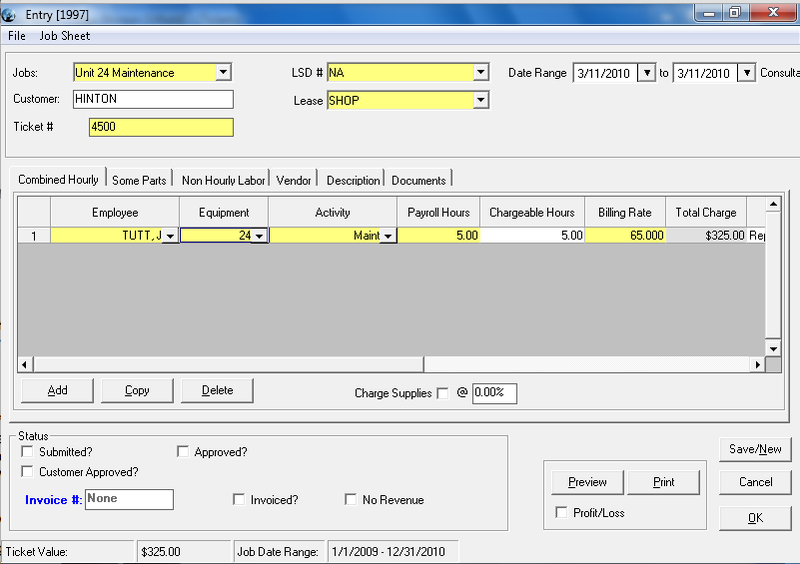 The Contractor's Edge let's you easily evaluate your margins on each job. 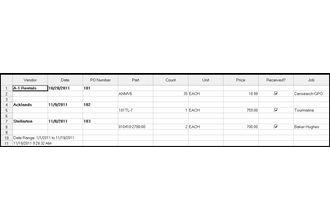 As you enter your service tickets on each job, you can report upon the profitability of each of those tickets (for single-day jobs), or on groups of tickets (for ongoing jobs). 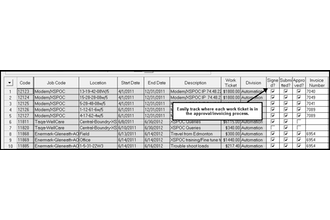 These reports capture all labor and equipment costs associated with a job, as well as costs for rentals, subcontractors, or any third party purchases (e.g., for materials) you incurred to complete the job. 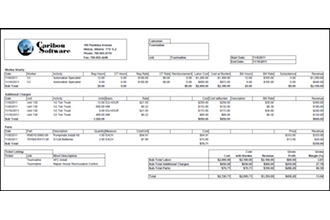 One of the tricky parts of job costing for companies that use their own equipment on a job is how to account for those costs properly. 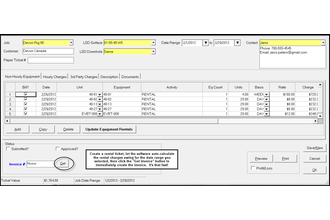 For example, how do you assign equipment repair costs or fuel costs for a job? What about depreciation and insurance for your equipment? 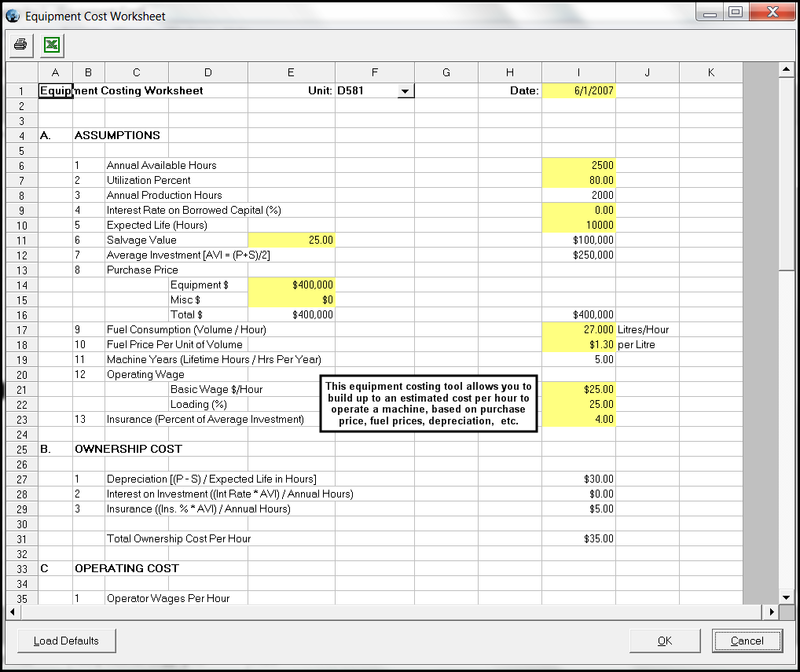 In the Contractor’s Edge, we take a “standard costing” approach to this problem. 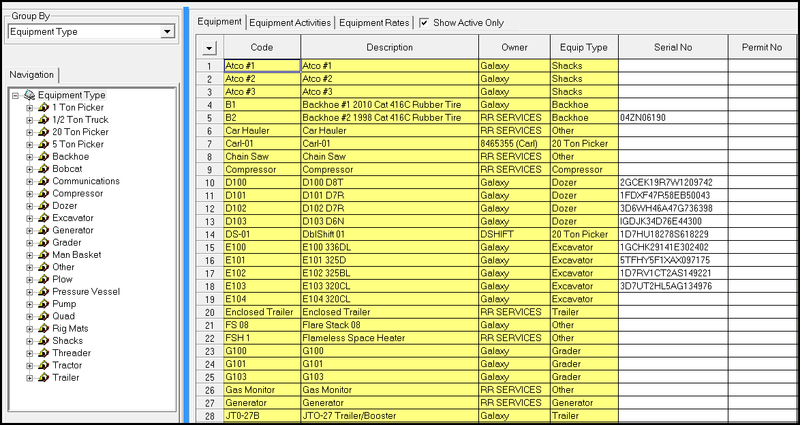 The software offers tools that help you build up to what it costs you to operate your machines per hour (or per day, or even per kilometer traveled in a year). These standard costs account for fuel consumption, repairs, insurance, etc. 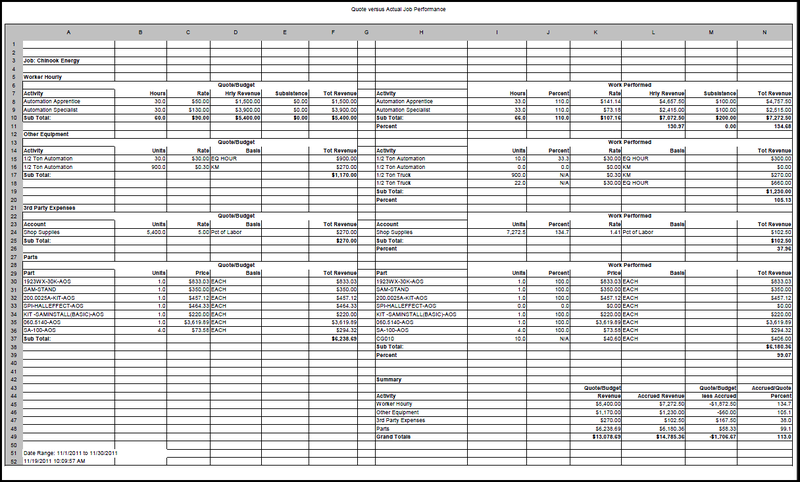 used for each equipment over the course of a year, so that when you use that equipment on a job, you are essentially spreading these costs across all jobs that used that piece of equipment. 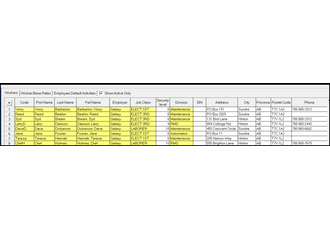 Build job estimates / quotes in the software, then monitor actual labor and equipment hours, material costs, etc. against that estimate so that you can manage the project more successfully. 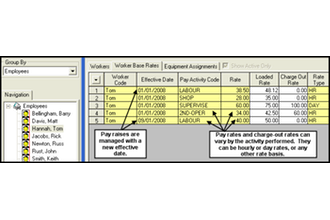 The Contractor’s Edge has some powerful features to help you manage your “Bid” or “Quote” jobs more effectively. 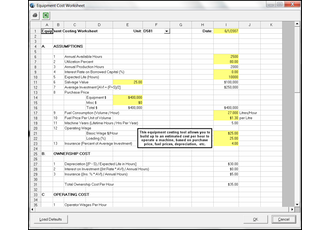 You can use the software to help you create project cost estimates to help in preparing your bid. 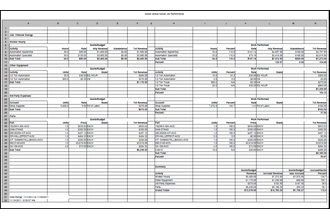 Then, as you commence with the actual work, you can record all your actual hours, expenses, etc. 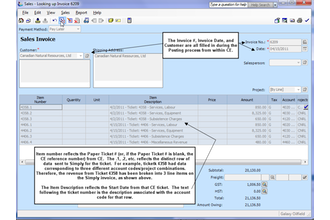 Reports within the software allow you to monitor your percent completion relative to your estimate so that you can manage your customer expectations pro-actively rather than scrambling to justify an over-budget project. 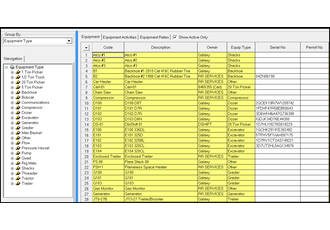 The Contractor’s Edge has a purchase order feature to help you get control over your purchases and ensure that all purchases are either tagged to a particular job, or to a particular piece of equipment, or for additional to an inventory location.